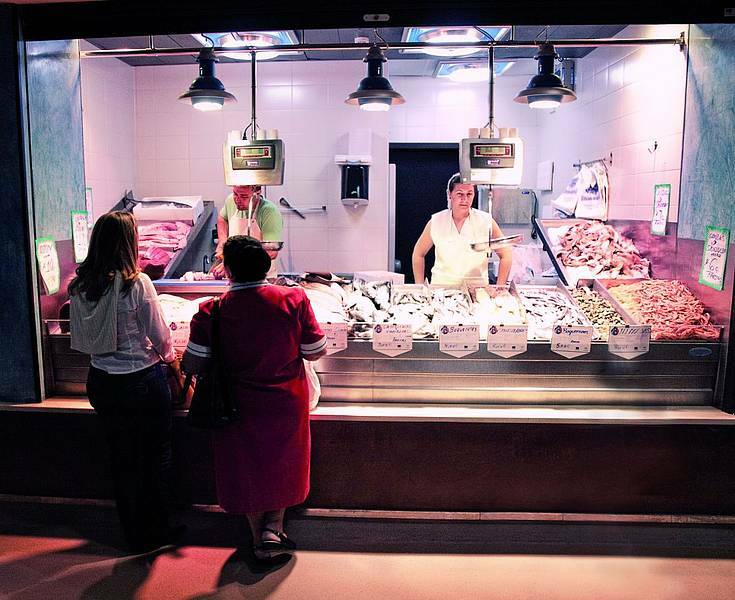 The market is one of Chiclana's must-see places. 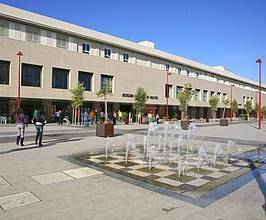 This 3,073 m² building was built in 2009 on the Plaza de las Bodegas according to the local architect Francisco Aragón Olmo's project. It has underground parking so that to leave the car in the town centre does not cause you a problem. Furthermore, beside the market, it is the “Centro Plaza” shopping centre with direct access to the market stalls. 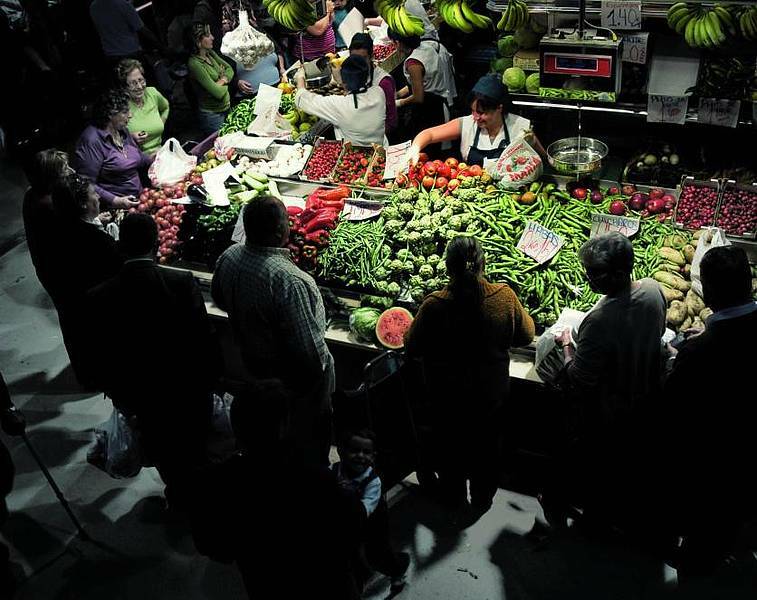 Famously known as “la Plaza”, it is the best and most varied grocery specialized on the traditional Mediterranean cuisine. Its 75 stalls provide a wide variety of high quality fresh produce and sea products such as meat, fish, seafood, vegetables, fruit, cold meat, handmade olives, bread, dried fruit and nuts, sweets, spices and , of course, churros (fried dough pastry).There are also cafés,an ice-cream shop, a newsstand along with a flower shop and a shoe repair shop. This visit will let you discover a great experience full of colour, flavour and aroma. Enjoy the daily bustle of this renovated place open all year round. Any suggestions? Do not miss the tapas in the surrounding bars. Opening times: Monday to Saturday, 8:00am-2:30pm. Fish (24), fruit (18), meat (18), poultry shop, frozen food and pork butcher's (4), tinned and semitinned food (1), bakery (1), olives (1), dried fruit and nuts (1), spices (1), seafood (1), fried fish and churros shop (1), confectioner and ice-cream shop (1), handicrafts (1), sweeties (1), flowers (2), press (1), shoe repairs (1), herbals tea (1), ecological products (1), household furnishings (1) and bars (2).